Yavuz Bölek,(right) 49 year old decorated police officer who had been hailed as a hero for successful service in cracking down on terror cases before, has been left in terrible prison conditions while he needs medical care and close monitoring of his rapidly deteriorating health. The torture and ill-treatment in a mass scale in Turkey’s prisons and detention centers amid blatant abuse of pre-trial detentions for punishment of the accused people continues unabated with cases piling up that suggests a pattern of total disregard for the health conditions of critically or terminally ill suspects. 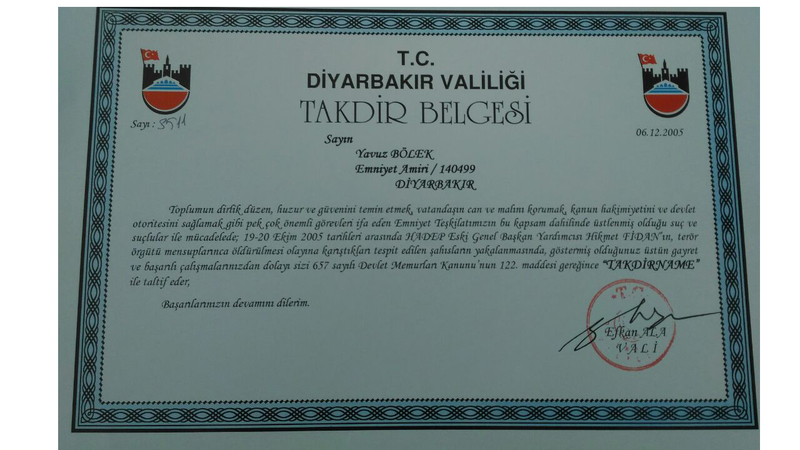 In one such case SCF documented unveils the extent of the abuse in Turkish prison for a former government employee who has been diagnosed with cancer and had to go through three surgeries, twice on brain and one lungs. His name is Yavuz Bölek, 49 year old decorated police officer who had been hailed as a hero for successful service in cracking down on terror cases before, has been left in terrible prison conditions while he needs medical care and close monitoring of his rapidly deteriorating health. Bölek is the victim of mass-scale witch hunt led by the country’s autocratic president Recep Tayip Erdogan who declared a war against people deemed to be his critics and not supportive of his Islamist ideology. Erdogan launched purges in numbers that are well over hundred thousands of people after he and his family members were incriminated in major corruption scandals in billions of dollars. Tens of thousands of police investigators as well as thousands of judges and prosecutors were fired and many were jailed on what is believed to be trumped up charges by the government in the aftermath of Dec.2013 corruption expose. 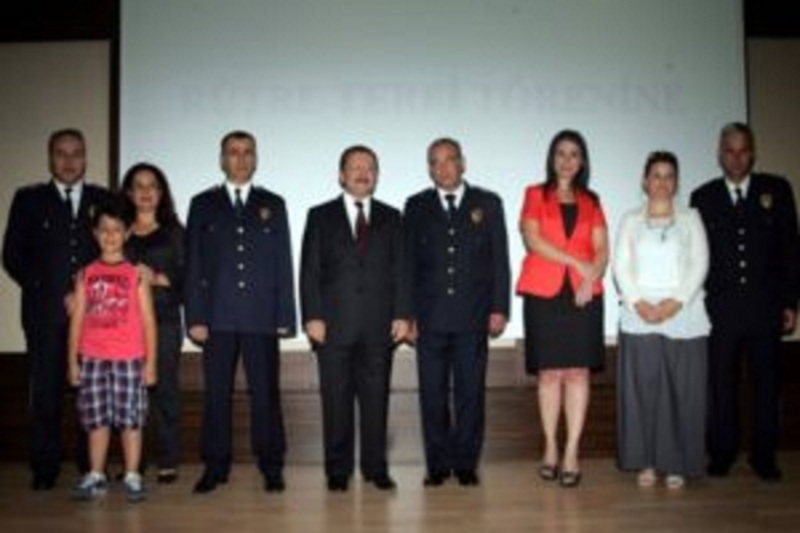 Bölek, veteran police officer who served for 25 years in various positions in Turkey’s main law enforcement agency, has received over hundred citations and awards in the police department for a distinguished service. Yet he was caught up with this witch hunt persecution like many others. He was detained on Sept.29, 2014 along with his six other colleagues as part of the investigation launched by Antalya public prosecutor’s office. He was accused of forgery for wiretaps between the years of 2009 and 2013 despite all of them were authorized by the courts and asked by the prosecutors at the time. He, like his colleagues, did everything by the book and simply followed judicial orders as instructed by judges and prosecutors as part of judicial investigations in various cases. On Oct.1, 2014, he was formally arrested by the criminal court of peace judge, a special investigating judges dubbed by Erdogan as special project courts that were established in 2014 after a bill pushed through parliament by Erdogan to persecute his critics and dissidents. He and all his colleagues were released six days later after a successful legal challenge to arrest decision. Despite the fact that he was not convicted of any crime, the government dismissed him from his job on Jan.9, 2015. 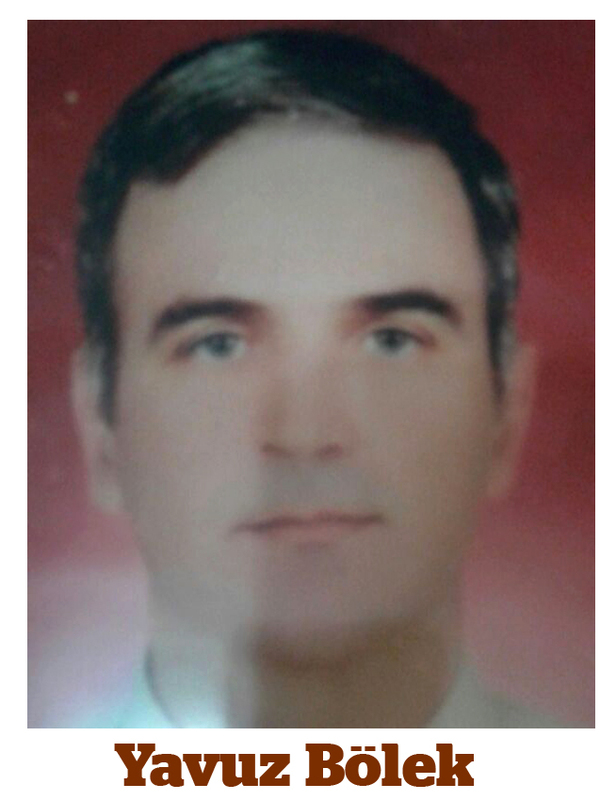 A new arrest warrant issued against him on March 31, 2015 by Antalya No.3 High Criminal Court. Bölek who believes wrongly accused and faces politically-motivated charges, refused to surrender and remained at large for a year. In the meantime, however, he was diagnosed with a colon cancer when he sought for a treatment in hospital for an abdominal pain. He went through chemotherapy for three months but needed surgery. Through his lawyer, Bölek submitted medical reports to Antalya court which in turn removed the pending arrest warrant against him. His treatment was going well and doctors were saying he had very good chance of beating the cancer. Yet he was detained again in Antalya and brought to İzmir province to respond to allegations in another probe. His family submitted medical reports, arguing he needed care amid continuing treatment in Antalya but was unsuccessful. He was transferred to İzmir and formally arrested on Aug.25, 2016. He is not able to continue his treatment well enough in prison conditions and were denied proper medical care. Unfortunately, the cancer he was about to beat came back worse than before, spreading all over his body. He suffered paralysis and had to be rushed to the emergency care in hospital. The doctors had to operate on his right brain. Yet after the surgery, he was ordered to get shipped back to the prison despite he needed care in hospital conditions. He suffered another paralysis a week later and again was taken to hospital. This time, doctors operated on the left side of his brain. After the second brain surgery, he was neither let go nor placed in hospital care where he can recover. Bölek was again taken back to the prison. Shortly afterwards, the cancer hit hard to his lungs and went through a third surgery but he was again put back behind bars. 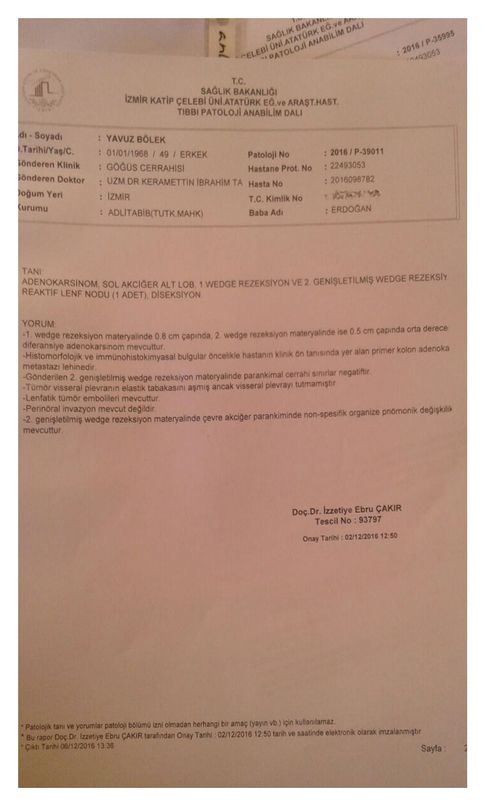 In the first case against him in Antalya where the court removed the arrest warrant citing health conditions, the court changed its position and issued yet another arrest warrant against him while he was in still prison in İzmir, suffering health wise. His lawyer submitted surgery reports, medical papers proving that his client is critical ill and may very well die soon if he does not get proper treatment outside of prison halls. Yet all these legal challenges to his pre-trial detention were unsuccessful and his request to get released pending trial are denied. Bölek is not convicted of any crime and two cases are still pending against him but currently incarcerated İzmir Aliağa prison despite serious health issues. He joins the hearings via video feed from his cell. This veteran police officer has three kids, one boy and two girls. Girls are pursuing university degree in Antalya but his wife, Nurgül, had to move to İzmir with the youngest son who is in the second year of high school so that she can monitor husband while he is in jail there. Nurgül had to start working to support her family after the husband’s ordeal. “My husband has never done anything wrong, never violated laws. Despite the fact that he is innocent of all charges and faces serious health problems, they still keep him in prison. I can only see him once a week. He needs an utmost care and is still going through chemotherapy. He barely walks but has to endure a four-hour travel every day from prison to Yeşilyurt hospital in İzmir”, she told SCF. Nurgül complained that her husband is not receiving his medications in time, taken to chemotherapy sessions late or at times sessions skipped altogether. Despite doctors’ warning for him to not skip sessions, prison officials sometimes did not make the appointment citing lack of crew members to take him to the hospital. “He has been losing weight fast, lying down in the bed all the time, vomits often, and could not get proper dietary supplements. His skin suffered because of radiation therapy but the cream needed to heal the skin fast has arrived three weeks later”, she explained. The last time she met her husband was on Feb.14. Nurgül pleads with authorities to stop the injustice and inhuman treatment her critically ill husband continues to suffer in Turkey, stressing that the whole ordeal has really taken a huge toll on the family. “We feel like we have no strength left in us to be able to keep going with this anymore”, she said.